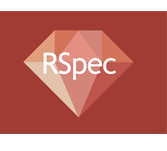 RSpec is a 'Domain Specific Language' testing tool developed for the Ruby programming language. RSpec is a Behavior driven development tool similar to XUnit framework and JUnit. Here, RSpec does not consider how the application works but it considers what the application actually does. This tutorial is useful for beginners who wish to seek ruby coding and after completing this tutorial one must be able to apply RSpec tests in their coding practices. To learn this tutorial and understand in an easy way one must have some experience with programming, specifically with Ruby.